The Steam Spring Sale is upon us! Dubbed the Steam Spring Cleaning Event, it’s more of an ironic name as you buy more electronic game clutter for your continually expanding virtual game library. But who cares, these are really great deals on PC games. As with Steam’s other sales events, users will be able to participate in activities to unlock free games. This time however, instead of being able to simply click through your discovery queue, you’ll need to play some of the games from your backlog to progress. There are also nine games available for free to play over the weekend that include Borderlands 2, Middle-earth: Shadow of Mordor, Cities: Skylines, Tyranny, and Castle Crashers. 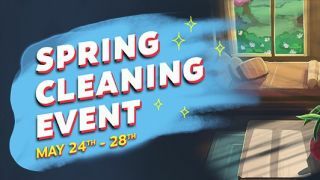 Better act quick on these deals, as they’re likely to go away by the end of the day and this Steam Spring Cleaning Event itself will be over on May 28th.